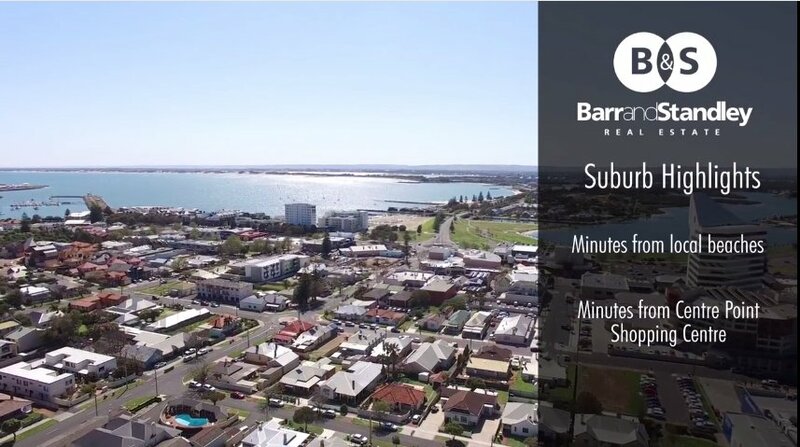 Within a short walk to Bunbury’s best beaches, the inner CBD and everything it has to offer this is Blue-chip buying at it’s best! This 3 bedroom, 2 bathroom 2-storey unit is located in a prime position. It has recently had a brand new kitchen fitted with stone bench tops, ample cupboards and storage and Stainless Steel appliances to compliment the formal dining/family area. The 2 minor bedrooms are based on the ground floor and have BIR’s along with the refurbished main bathroom and laundry being re-tiled and replaced with modern fixtures and fittings. Once you move upstairs it becomes all yours with the top level dedicated to the main bedroom, ensuite and secondary living area. It is from here you have direct ocean views from the Western facing living area and balcony. Freshly painted and solid timber jarrah flooring throughout this unit is more of a home than a rental. The independent lock up garage has had a new electric roller door fitted and is lock up and leave if need be. The unit has both R/C A/C and gas heating and with a simple solar passive layout it is warm, cool and comfortable all year round. The Western side of the unit is protected from the harsher elements with roller shutters and the gardens and surrounds are low maintenance and care-free. Either way, whether you are looking for a place to simply rest and nest and call home or a superbly located and finished investment property this quality unit ticks all the boxes.